Best Drumming Shoes in 2019 – Do They Make You a Better Drummer? Drumming shoes, regular shoes, socks, boots, high heels, and the list could go on. Drummers throughout the years have intrigued fans with their choices of footwear. However, just because some of them looked super cool in their shoes doesn’t mean playing the drum in outrageous footwear is optimal. Although a lot of drummers prefer just a pair of socks, the majority still rely on comfortable flexible shoes like sneakers and trainers. But, not just any shoes can be the best drumming shoes. Check out my personal favorites as well as some of the features that separate drumming shoes from pedestrian footwear. Want to know more about what shoes are most popular with drummers who don’t play neither barefeet nor in socks or boots? Here are my top five picks for drumming shoes that see plenty of onstage use. 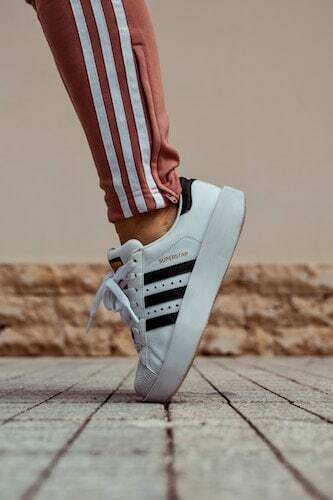 Custom Shoes – Are They Worth It? If you’re a Converse fan then you know all about the Chucks. What you probably didn’t know is that these are some of the best shoes for drummers, hands down. But you don’t have to take my word for it, just check out some of the musicians that wear them. 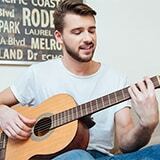 You’ll find Green Day’s Tre Cool and Silverchair’s Ben Gillies, just to name a couple. I prefer the low top Chucks for drumming shoes. They allow excellent ankle mobility, so you should be able to execute a wide range of techniques. The rubber outsoles provide just the kind of traction I personally prefer and the canvas top should keep you comfortable. The insole also features OrthoLite cushioning which is enough to help you avoid blisters. In addition, the eyelets provide sufficient airflow. Indoor soccer shoes are known for being very comfortable and for providing a true slip-free experience. The outsoles are non-marking and they’re made of long-lasting gum-rubber which gives perfect stability. The upper of these shoes is leather. Don’t worry, it is flexible because these are sports shoes. The EVA insole is not the most comfortable but good enough to wear during rehearsals and maybe short gigs. The insoles or sockliners are removable, which comes in handy after a few months. The suede overlay also adds another layer of protection on the exterior. 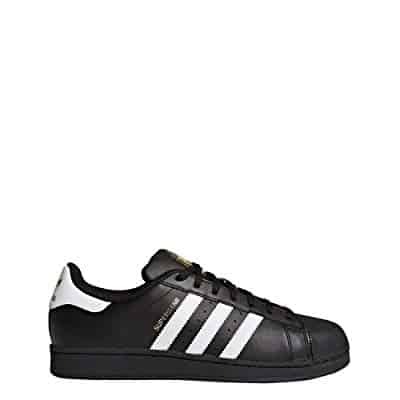 As far as pricing goes, Adidas is not the cheapest brand by any means. However, I find the Samba Classic‘s price to quality ratio to be quite the deal for amateur and professional drummers alike. Who doesn’t like a pair of classic sneakers? Vans Authentic sneakers are eye-catching, flexible, and surprisingly rugged which makes them a wise long-term solution. The biggest advantage of these sneakers, I feel, is the ultra-lightweight design. If you want to peddle with almost no weight but you still need that tight fit around your feet to maintain your consistency, these might just be the perfect drumming shoes for you. The exterior is a soft canvas that solves the breathability problem. The low-top arch design ensures a wide range of motion for your ankles. The comfort level is quite good too, as there’s an extra layer of cushioning on the insoles to minimize the chance of developing blisters during long gigs. The waffle outsole design is a Vans trademark and provides a medium amount of traction. For all intents and purposes, these are some of the most balanced drumming shoes I’ve seen in a long time. Speaking of superstars, these shoes are the go-to choice for one of the best metal drummers. Joey Jordison of Slipknot has been wearing Adidas Originals Superstar for a very long time, and if you’re any bit a metal fan, you can’t argue with his technique and endurance. Of course, years of practice made Joey great but the shoes do play an important part. They have rubber outsoles which offer good traction and rubber shell toes which make a solid layer of protection. I don’t find the insoles particularly amazing since there’s no extra cushioning to speak of. However, the rest of the interior has synthetic leather lining which makes the shoes comfortable and prevents overheating too. The shaft is 3.5” from the arch which will give you plenty of mobility. These shoes are balanced, durable, and work well for laid-back as well as aggressive drumming styles. Mesh is not my first choice when looking at drumming shoes. It has the right flexibility and enough venting, but it’s not as long-lasting as leather or canvas. The Fs Lite Trainer 4’s do have other things going for them. The rubber outsole gives a good amount of friction on any pedal. 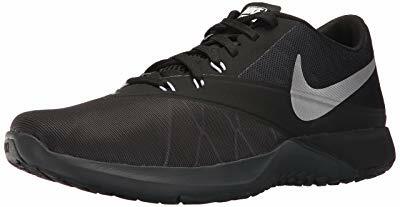 The fit is very nice, and although I prefer my drumming shoes a bit loose, there are plenty out there that prefer the tight and restrictive opposite. Feel free to go with your personal preferences. The thick midsoles really add to the level of comfort when you’re on your feet. The shaft measures 3” from the arch, hence the locked-down fit. In terms of style, the Fs Lite Trainer 4’s are not your typical rockstar shoes. There are only three color variants and most of them look like regular running or basketball shoes. That being said, if you’re aiming for comfort and a tight fit, these just might do the trick for you. There isn’t a drummer in the world that hasn’t had blisters at one point or another during his career. To increase your chances of avoiding blisters, the inside of your shoes must be comfortable but not too soft. That would make it easier for you to rub your heels against the hard outlines. Flexible materials should be the first thing you look for in drummer shoes. Suede and canvas are good choices but a little harder to maintain. Flexible and supple leather is an alternative that you might find attractive and efficient. There’s no right or wrong choice here. Whether you want extra friction on the pedals or you want them to feel more slippery, it all depends on how you’re used to playing. The drummers whom I’ve played with tend to be fans of friction, but not all of them. For one, they give you more security. However, there are drummers that use shoes with leather outsoles. In particular, Neil Peart comes to mind. There is one clear advantage to this design. If you have to execute a bass drum slide, a slippery sole will make it easier. There are enough drummers that play barefoot. For them, even the best drumming shoes in the market (or any normal shoes, for that matter) feel restrictive. That being said, the majority of drummers have on a pair of shoes when they play. If you want to feel extra comfortable, just look for a pair of lightweight shoes. 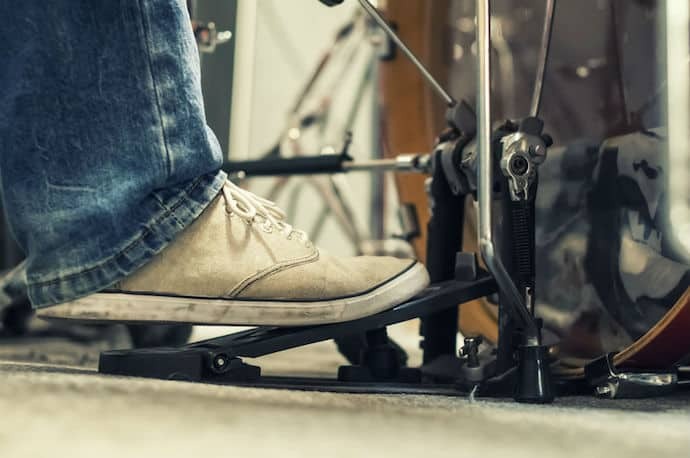 Wearing shoes is known to give a drummer better control over rhythm. Not to mention that light shoes are barely noticeable. There’s always the option of going the custom route. In most cases, this is the only way you can equip your shoes with a leather outsole to increase the slippage. However, these shoes are generally very expensive and very few drummers actually resort to designing them. On the other hand, if you have some medical problems or specific requirements that mainstream shoes can’t meet, you might have to find someone that can custom-craft for you a pair of drumming shoes. Finding the best shoes for your drumming needs is not as easy as getting a pair that some famous drummer often sports and hoping that it’d do the trick for you too. You may have specific requirements and may not even be able to make full use of mainstream shoes. While someone else may need a custom pair. Be that as it may, if you’ve followed this guide, you should know what to look for in order to find the most appropriate drumming shoes. 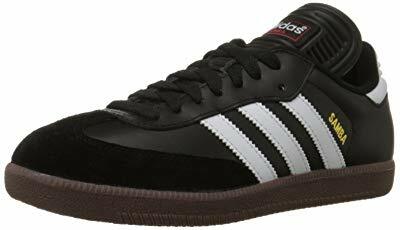 As a personal recommendation, I would suggest giving the Adidas Originals Superstar a closer look as they are probably the most versatile drumming shoes on the market.